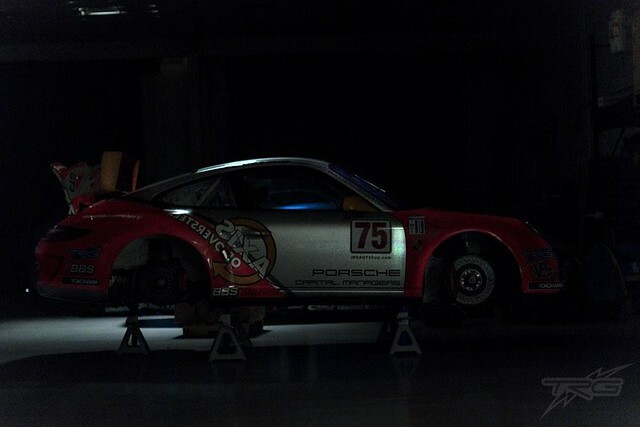 The Axis GT3 Cup resting at the TRG shop, waiting ominously, lulling its enemies into a false sense of security ahead of the next outing, at Laguna Seca in a couple of weeks. Now that's ridiculously cool, thanks to TRG for the picture. TRG is of course the Axis team for IMSA GT3 Challenge. They are awesome pros at what they do. Nice! Cant wait to drive it again in 2 weeks. Where did you find the pic?